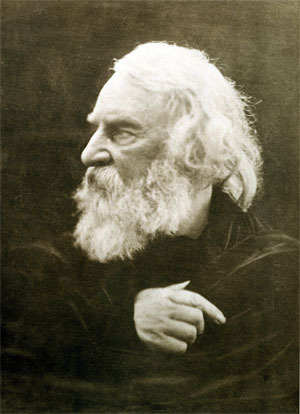 Henry Wadsworth Longfellow was born in Portland Maine. He became a professor at Harvard University and lived for most of his life in Cambridge Massachusetts. He toured extensively in Europe and many of his poems are about locations on the European "Grand Tour". He also wrote a lot about the places of his New England roots and about Cambridge, MA, where he lived. Longfellow's most famous works are rooted in American landscape and history, evoking the environment of the Great Lakes in Hiawatha and, in Evangeline, the forested wilds of Nova Scotia and the mysterious, moss-laden bayous of Louisiana.